Start with fresh wild salmon and fry the burgers until they are crispy. Top with sauce and serve with my easy and healthy cabbage slaw, featured below this recipe. The use of fresh herbs is always preferable, but if you don’t have access, use a good quality dried herb. In this sauce recipe, add herbs, adjust sugar and vinegar to your taste. My preference is as ingredients are listed. 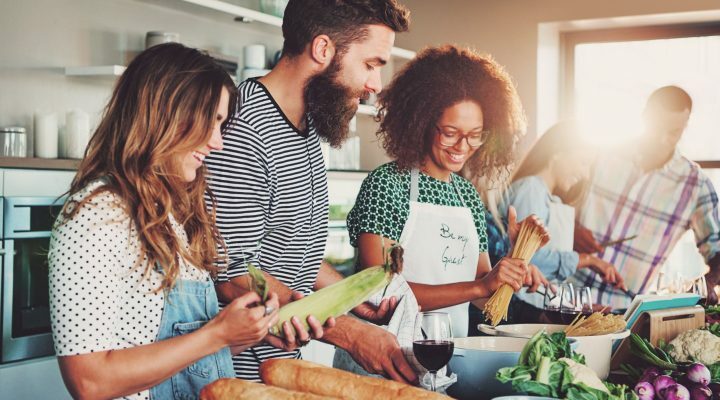 Prepare the mustard dill sauce by combining the sauce ingredients listed above and set aside for about an hour to let the flavors merge. If the salmon fillet has skin, remove it. Cut the salmon into large chunks and put about a quarter of it into the bowl of a food processor. Add 2 teaspoons mustard and water and let it process until the mixture becomes mushy. You will need to scrape down the sides of the bowl a couple of times. Add the sweet and green onions, capers, lemon juice, chopped pepper, dill and remaining salmon and pulse until the fish is chopped and combined with the puree. You want little chunks of salmon (pea-size) throughout, so don’t over pulse the mixture. Scrape mixture into a bowl and add crumbled crackers, salt and pepper to taste. Mix gently. Divide the mixture evenly by 4. Gently shape each quarter into patties. Don’t squish too hard, just a gentle hand to shape them. Coat both sides of the patties in Panko crumbs by gently laying the patty in panko that you have sprinkled on a plate. Don’t press the panko into the mixture. Add olive oil and butter to a pan large enough to accommodate 4 patties and heat until butter is melted and bubbly but not browned. Fry patties in the hot pan on medium heat until the outside is crisp for about 2 minutes per side. Check it for doneness, but you don’t want to overcook it or the patty will be dry. 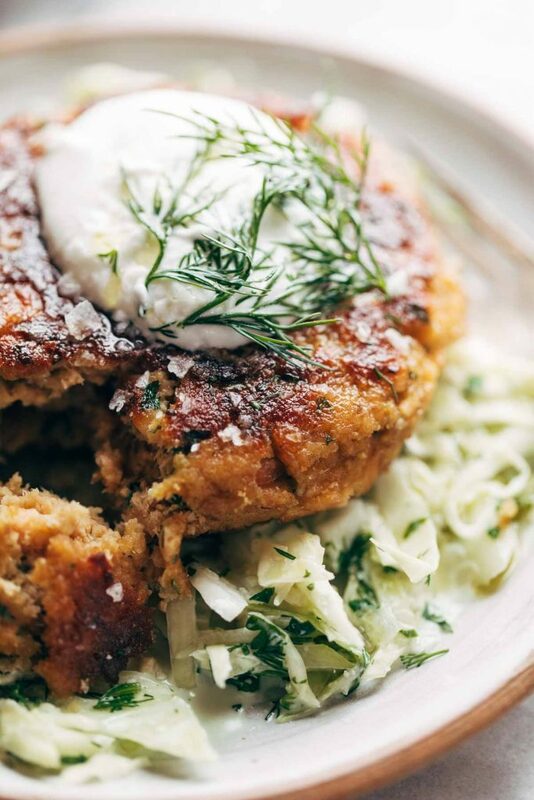 To serve, plate the patty and top with sweet Mustard Dill Sauce. Great sides for this are my simple cabbage slaw (recipe below) and Dee’s Coconut Rice Pilaf (website recipe April 2014). 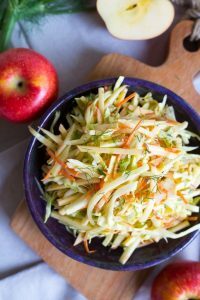 Combine 2 cups shredded cabbage, ¾ cup shredded carrots, ¼ cup chopped sweet onion, 1 diced apple, ½ cup sunflower seeds and 3 to 4 Tablespoons chopped fresh dill. Combine and drizzle with ¼ cup seasoned rice vinegar, 1 to 2 Tablespoons canola oil and add salt to taste. If you want a little zing, add some chopped chilies or a dash of red pepper flakes. Mix it together and serve.